Probiotics, omega 3 fatty acids, and vitamin D were the most popular topics for nutrition related stories in 2013. I’ve written a couple of blogs about vitamin D and I mention omega 3 fatty acids in almost every blog, but I decided to tell the omega fatty acid story today. The omega 3 fatty acids and their cousin, omega 6 fatty acids are very long chains of carbon molecules with a fatty acid on one end. The term omega means “forever”. Just think of the biblical reference “I am the alpha and the omega”. Because they are so long, omega fatty acids are difficult to digest. The omega 3 fatty acids have a double bond between the third and fourth carbon atoms on the terminal end. The omega 6 fatty acids have the same double bond between the sixth and seventh carbons. That is very important because humans can not make that double bond at the third or sixth carbon. We must obtain omega 3s and 6s in the diet. That is why they are essential, hence the name essential fatty acids. We can make double bonds at several other locations, so the omega 5s, 7s, and 9s are not essential. Essential fatty acids are used to make anti-inflammatory compounds. They help form the cell membrane in every cell of the body. The lining of the digestive tract, the liver, and the heart are extremely dependent on a constant, rich supply of omega 3 and 6 fatty acids. NSAIDS, like Aleve and Advil, used to block inflammation, also block the chemical pathways of both these essential fatty acids. Each year in the US, over 16,000 people die from taking NSAIDS. Most of them bleed to death because they can not repair the digestive tract, the remainder die from liver failure or heart disease. Omega 3 fatty acids are the most common nutritional deficiency in the United States. They were naturally occurring in red meat until we replaced the grass diet of cattle with grains. They do occur in fish, but not in farm raised fish like Tilapia. Farm raised fish are fed corn meal and just like the cattle can no longer produce omega 3 fatty acids. They are found in some seeds, like flax seed. However, the vegetable sources of omega 3 fatty acids contain no EPA or DHA, the most important of the omega 3 fatty acids. Although we can not make omega 3s we can convert omega 3s to DHA or EPA. However, just like the cattle and fish, the typical American diet inhibits that conversion. Omega 6 fatty acids are common in our diet. But we have the same problem converting them into GLA (gamma linolinec acid). In addition, omega 6s can be converted to pro-inflammatory compounds. Because they are common in the diet and can promote inflammation, most nutritionists recommend against supplementation. However, if you look at the people who make inflammatory chemicals from extra virgin olive oil, they are the diabetics, people with hypothyroidism, and those with high serum lipids. These components of Metabolic Syndrome create the abnormal chemical pathways that promote inflammation. In these cases, omega 6 fatty acid metabolism needs to be corrected, not ignored. The main drawback with omega 3 fatty acids is in processing. The vast majority of supplements are made from fish oil. We have contaminated our environment with mercury and it concentrates in the fish as it moves up the food chain. When you buy wholesale fish oil from Norway, you have the option of paying to have the mercury removed. Good companies pay the price and advertise “mercury free” or “high density molecular extraction” on the label. However, very few supplement companies have the laboratory resources to test for mercury removal. Several years ago 74 companies were indicted for mercury contamination in their fish oil products. Most had paid to have the mercury removed. The few companies that could test the wholesale oil refused to buy it and just stopped making fish oil supplements until clean fish oil was available again. Almost any disease or condition is improved with the use of one or both of these essential nutrients. There are good studies on Parkinson’s disease, Senile Dementia, autoimmune disease, and even ADD and ADHD. The research is in, we need and we don’t get it. You absolutely must supplement omega 3 fatty acids. Don’t but the cheap stuff and look for “mercury free”. If taking omega 3 fatty acids upsets your digestive tract or you are interested in supplementing omega 6 fatty acids, seek professional nutritional advice. Correcting abnormal chemical pathways requires intimate knowledge of human nutrition. Three studies published this week in the Annals of Internal Medicine support the contention that multiple vitamins don’t help most people and can actually cause diseases that people taking them are trying to prevent, like cancer. The first study found no benefit in preventing early death, heart disease or cancer. The second found that taking multivitamins did nothing to stave off cognitive decline with aging. The last study found that high-dose multivitamins didn’t help people who had had one heart attack avoid another. Of course you have heard this information because medical doctors on all the major networks have played this story up all week. You might be surprised by this, but I agree, at least in part. For over 30 years I have been saying that multiple vitamins are not worth the label printed on the bottle. You can not combine every micronutrient we know into a tablet and expect that it will have health benefits. Most multivitamins contain copper, iron, and zinc. These three minerals compete for absorption in the body and don’t belong together. In addition, the iron competes with the vitamin E as well. The B vitamin ratios are also all wrong, typically having too much thiamine (B1) and not enough riboflavin (B2) and niacinamide (B3). I had predicted that the multivitamin would be extinct by the year 2000. Wow, was I wrong! Many supplements, including several multivitamins now add a phytofood base. This is nothing more than powdered plant food. For example, Standard Process grows 23 different crops on their organic farms in Racine, Wisconsin. They harvest and process those plant materials into a plant based supplement, using things like pea vine juice, carrots, and barley. Greens Plus and Sun Chlorella are other examples of phytofoods. This is what should have replaced the multivitamin. They provide a host of micronutrients, in very small doses as they are found in plants to supplement a good diet. My biggest objection to the media coverage this week has been the universal leap from multivitamins are worthless to all vitamin supplements are therefore worthless. Every MD on every newscast, just like the editorial comment in the Annals of Internal Medicine, makes this absurd declaration. Just because aspirin, Aleve, and Advil kill over 16,000 people a year in the United States doesn’t make all drugs bad. In fact, it doesn’t even make aspirin, Aleve, and Advil bad. It just means they need to be used with good knowledge. We all know the quality of our food decreases daily. Farm raised fish no longer contain omega 3 fatty acids, nor does red meat. Tomatoes are picked when they are still green and firm, and then shipped to local sites to be flooded with carbon dioxide to turn them red. Unripe tomatoes don’t bruise but they contain little of the nutrients we need on a daily basis. A hundred years ago, if you had enough food to eat, then you got all the nutrients needed to promote health. Today, no matter how much you eat, you can not get those nutrients from the food available. Throw away that multiple. Seek professional advice from a nutritionist with a degree in the field. Become educated yourself. There are a few givens – we all need omega 3 fatty acid supplementation. All women and many men need calcium supplementation. At least 25 percent of the population needs folic acid, B6, and/or B12 supplementation. Over 50 percent of us need to take some vitamin D. Simple laboratory tests can demonstrate these deficiencies. Have testing performed at least on a yearly basis. The idea that there are obese people who are nonetheless healthy may be a myth. Although some overweight or obese people have normal cholesterol, glucose levels and blood pressure – elements of so-called metabolic health – a new study suggests that obesity itself increases the risk for heart disease, stroke, diabetes and death. Last week the Annals of Internal Medicine published a report that followed more than 61,000 adults, most for at least 10 years. About 9 percent of the subjects were obese and metabolically healthy – that is, they had normal LDL, HDL and total cholesterol, along with healthy blood pressure and blood sugar levels. Compared with metabolically healthy people of normal weight, the obese group had a 24 percent increase in risk for total and nonfatal cardiovascular events like heart attack and stroke, and death by any cause. Increased weight, waist circumference, blood pressure, and insulin resistance all rose together. However, increases in triglycerides, glucose, or LDL cholesterol were not associated. The study appears to be pretty obvious – if you are overweight, your health suffers. However, if you look more closely, it says something more profound – They found no correlation between high triglycerides, high glucose, or high LDL cholesterol and increased cardiovascular events. Waist circumference was a better indicator of health risk! Please note they did see a correlation between insulin resistance and cardiovascular events. More than 50 percent of Americans having their first heart attack have normal or even low cholesterol. We don’t need to put statin drugs in the drinking water; we need to focus on the real risk factors of metabolic syndrome – central obesity (weight around the middle), insulin resistance, and low thyroid function. What is the difference between insulin resistance and fasting blood glucose? The fasting glucose tells you how well your body controls blood sugar levels without the stress of eating (adding more sugar) for at least 8 hours. That’s like an open book test, setting the bar too low. By the time the fasting glucose is high, insulin resistance is out of control and you are a full blown diabetic. The glycohemoglobin A1c is a simple test that measures insulin resistance. It actually measures the percentage of red blood cells (RBCs) that are saturated with glucose. Normal is below 5.7 percent. Because RBCs live about 120 days, this test measures your average blood glucose over the course of the past two months. Watch your weight, especially your waist line. Have yearly laboratory tests, but insist on a glycohemoglobin A1c and don’t be too concerned with the serum lipids. If you want to see if your cholesterol is really a risk factor, have an L(p)a run. It is the only lipid test that really correlates with increased risk of cardiovascular events. A new study published in the Journal of the American Medical Association reports that people who use certain acid-suppressing drugs for two years or longer are at increased risk of vitamin B12 deficiency. This can lead to anemia, neuropathy, depression, fatigue, or dementia. The drugs are proton-pump inhibitors, or P.P.I.’s and histamine 2 receptor antagonists. They are available by prescription and over the counter under names like Prevacid, Prilosec and Nexium. Nearly 157 million prescriptions were written for P.P.I.’s in 2012. “People who are taking this medications are more likely than the average person to be vitamin B12 deficient, and it’s a potentially serious problem,” said Dr. Douglas Corley, senior author of the study. Of note, the study was funded by Pfizer, which makes a P.P.I. called Protonix. Patients who took P.P.I.’s for more than two years were 65 percent more likely to have a vitamin B12 deficiency, the researchers found. Higher doses of P.P.I’s were more strongly associated with the vitamin deficiency, as well. These drugs prevent the stomach from manufacturing hydrochloric acid (HCl) thus reducing the symptoms of acid reflux. However, HCl is the first major step in digestion. It breaks down protein, separates calcium ions from their substrate, and prepares vitamin B12 for assimilation in the small intestine. It is also the triggering mechanism for the gallbladder to release bile and the second major step in digestion once the food bolus enters the small intestine. We now know (and have predicted) that P.P.I.’s cause osteoporosis, anemia, dysbiosis, and chronic Candida infections. Clinically, I see frequent gallbladder congestion associated as well. Unfortunately, if you burp once in a while, that seems to be enough criteria to prescribe one of these drugs. A simple test of the pH of the stomach will detect over-acid production, but the testing is seldom run. A lack of HCl production will also cause acid reflux, as the food putrefies, producing organic acids in the stomach. It is estimated that a lack of HCl accounts for 50 percent of the cases of acid reflux. The cause in most cases is poor diet. Food sensitivities, over eating, excessive fat and sometimes even poor food combining are real issues. When a patient obtains relieve from the drug, they continue their poor eating habits further compromising general health. Avoid these P.P.I,’s like the plague! Your symptoms are warning signals that the digestive tract is in trouble. Have your diet evaluated. Often just reducing caloric intake will dramatically improve or eliminate symptoms. New Research On The Benefits Of Vitamin D Raises More Questions. Researchers at France’s International Prevention Institute in Lyon analyzed data from several hundred observational studies and clinical trials examining the effects of vitamin D levels on so called non bone health – including links to illness such as cancer, diabetes and cardiovascular disease. They found that the benefits of high vitamin D levels seen in observational studies were not replicated in randomized trials where participants were given vitamin D to see if it would protect against disease. Lead researcher, Philippe Autier said “What this discrepancy suggests is that decreases in vitamin D levels are a marker of deteriorating health”. He explained that serious illness like cancer and diabetes may reduce vitamin D concentrations but that does not necessarily mean that raising vitamin D levels would prevent the illness from occurring. After several years of being touted as the next cure all, opinions on vitamin D are beginning to swing back. You will continue to see more studies published that focus on the limitations of vitamin D, rather than the benefits. Vitamin C had a similar run during the 1970’s fueled by the claims of Linus Pauling. He recommended very large doses of vitamin C for every known disease on the planet. 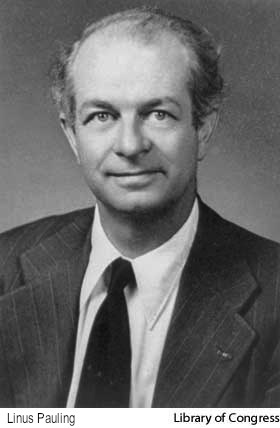 The Linus Pauling Institute, founded by him, has since refuted virtually every one on his claims. Today, vitamin C is recognized as an essential nutrient that is an important antioxidant in the body, but not a cure all. Vitamin D will eventually settle in its’ rightful place as well. Vitamin D is a hormone, not a vitamin. Our body manufactures it from cholesterol (yes, that horrible fat that must be removed from the body by drugs) when sunlight strikes the skin, making vitamin D3. We also get vitamin D2 and D3 in the diet, primarily from oily fish. D2, and D3 are not really vitamin D, they are precursors and are transported to the liver and converted to 25-hydroxy vitamin D. However, it is still not truly vitamin D but rather a stable form that can be accurately measured on blood tests. Every cell in the body absorbs a little of this form, but much of it remains in circulation in the blood stream. The final conversion to true vitamin D occurs in the kidneys and 1,25-hydroxy vitamin D is produced and functions as a hormone controlling calcium metabolism. Every cell also can make the final conversion, but that vitamin D remains in the cell where researchers believe it oversees protein replication from DNA. This is where all the questions remain. If vitamin D really acts like a librarian, selecting genetics like books in a library, its function could be vital to disease prevention. Currently, we can not measure vitamin D levels in the cell. In fact, we measure the precursor, 25-hydroxy vitamin D, in the blood because the final form, 1,25 hydroxy vitamin D, is used almost as fast as it is made, so blood levels change by the minute. Don’t give up on vitamin D. When the pendulum stops swinging, it will still have value. However, avoid the high level supplementation that has been so popular. Taking 50,000 IU of vitamin D is a massive overdose. It is using a vitamin as a drug. Stick with doses up to 4,000 IU per day unless you have blood work showing a true deficiency. Young women approaching puberty could reduce their risk of breast cancer if they avoid high-fat diets, researchers from Michigan State University claim. The research published in the current online issue of Breast cancer Research suggests that eating a diet high in saturated animal fats not only speeds up the development of breast cancer, but also may increase the risk of developing the disease. Experimenting on mice, the researchers from the Breast Cancer and the Environmental Research Program at Michigan State University (MSU) found that just 3 weeks after embarking on the high-fat diet, mice showed changes in the breast, including increased cell growth and alterations in the immune cells. They note that these changes are permanent and may lead to the rapid development of precancerous lesions, and ultimately, breast cancer. This is excellent basic research. More funds need to be expended in looking at the basic cause of disease. MSU began as an agricultural college; they are well suited to such studies. Don’t look for any change in our eating habits, patient counseling, or treatment protocols regardless of how many studies demonstrate the correlation between diet and cancer. Just like heart disease and diabetes, where the link is well documented, we acknowledge that diet is cause, then ignore the fact, and move on to new forms of drug therapy. There are several good studies correlating estrogen and breast cancer. Simply adding cruciferous vegetables, like broccoli or cabbage, to the diet will minimize that risk. How did the medical community respond to this information? They developed a drug, Tomoxifin, that targets estrogen dominant cancers, rather than promote prevention. Further studies have shown that adding a cruciferous supplement to the diet, makes the Tomoxifin 50 times more effective at preventing the recurrence of cancer. Seldom, if ever, is this information passed from the oncologist or gynecologist to the patient. Clean up your diet and your daughter’s diet as well. Cut out the saturated fats and trans-fats, add in the cruciferous vegetables. If you have a family history of breast cancer, or you just want to assess your risk factors, ask your doctor to perform genetic testing, salivary, and urine hormone levels. Look for a future blog on hormonal and genetic testing.